By Imad Zafar Published: April 11, 2019 0 SHARES Share Tweet Email While Pakistan continues to voice the plight of Kashmiris and Indian Muslims, its prime minister should have stayed silent instead of ‘endorsing’ Modi. 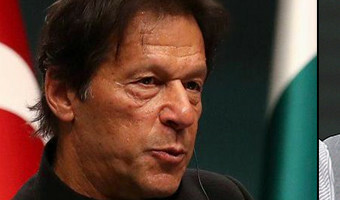 Pakistan’s Prime Minister Imran Khan, while talking to Reuters, gave a statement that really shocked the diplomatic world. Referring to the Indian elections, he said: “Perhaps if the BJP – a right-wing party – wins, some kind of settlement in Kashmir could be reached.” India’s General Elections have started from today, April 11th, and will continue till the end of next month. The most surprising aspect about Imran’s statement is that it came just a day before the start of the first round of the Indian elections. Usually, world leaders avoid giving out statements that seemingly endorse any political party of a foreign country as it is a domestic matter at the end of the day and they want to be … [Read more...] about While endorsing Modi, did Imran Khan forget the plight of Kashmiris and Indian Muslims?